LOVE your new diaper bag, super cute! The onesie on the left with the giraffes? So. Cute! And you will be such a stylish mama with that diaper bag! Is that diaper bag a PPB with the backpack option? My sister-in-law has one that is like that and she loves it... Her hubs even wears it. Hahaha! I'm completely jealous of your diaper bag. I STILL don't have one. I just cram a couple diapers and some wipes in my purse if I'm leaving the house. Lame - O.
Oh perfect Lindsay enjoy your day today! 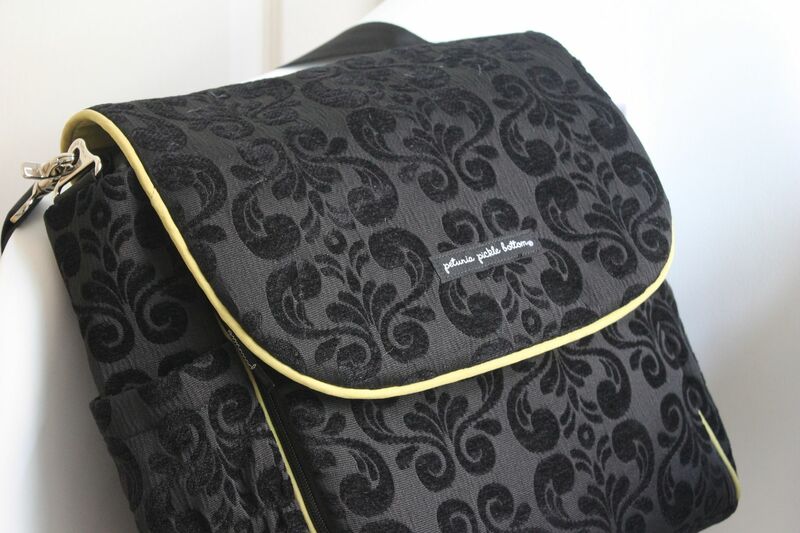 :) Love your new pretty diaper bag! Wow I feel so behind. I think I bought like 5 little sleeper outfits for our little man and I haven't even washed them yet! I need to do some shopping! Who couldn't love itty bitty baby clothes? so cute! 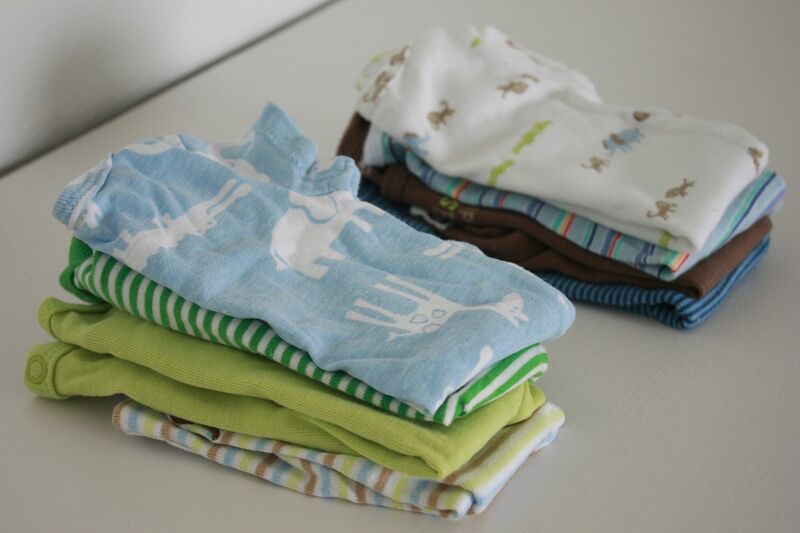 ahhh folding baby clothes! miss my big man being little! so excited for you! the diaper bag is so stylish!! Sounds like a great day planned have fun! 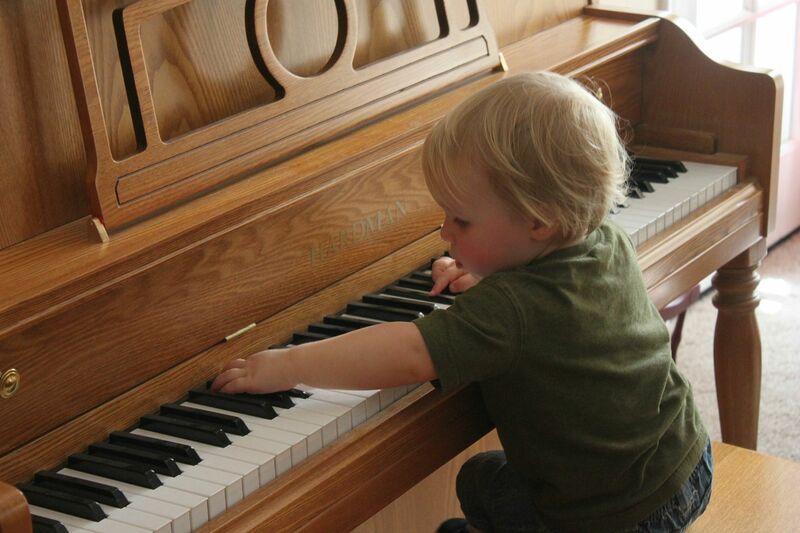 I love it when kids first discover pianos. I think the idea that banging on something produces melody is fascinating at that age and there's something so amazing and tactile about it! I hope you have a wonderful date! Ooo love your new diaper bag! 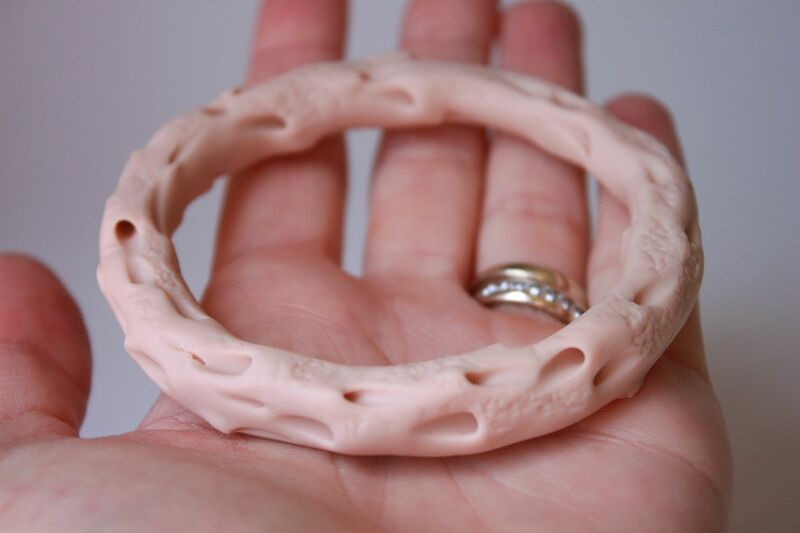 And can't wait to see your bracelet DIY. My kids still get sand in their hair and they are 9 and 11...LOL! Ooo I spy a lot of the same cute clothes for our baby too!! :) Super cute diaper bag as well! Why do babies always insist on putting all of their weight in the front of the swing and making me nervous that they're going to somehow circumvent the system and flip out? Even if I've never seen it happen. haha. Am I the only neurotic one? Also, I really like the giant ropes as handles.. much nicer for baby hands than the mean chain link thingy they usually have! 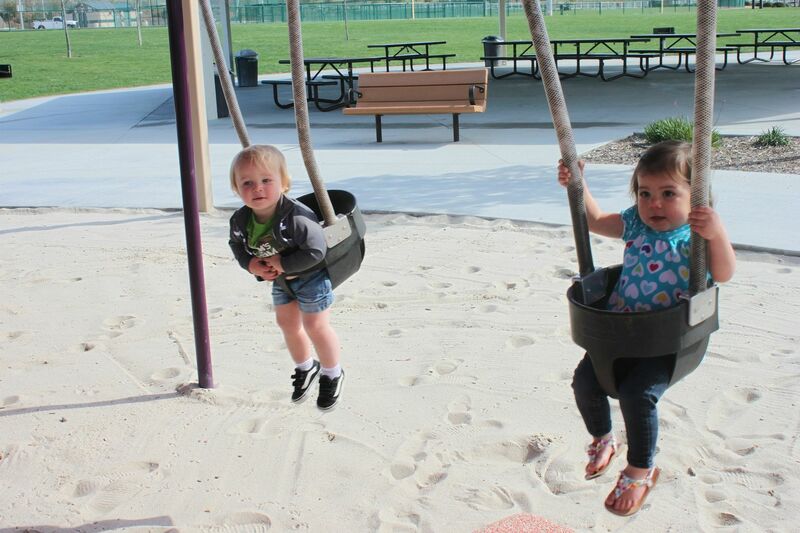 I was JUST at that park on Friday and took the EXACT same swing pic of the two babies I was with... looks like that's a good meetup spot for the two of us. :) Park day soon! xo!